The House of Representatives made progress on its bid to establish state police on Tuesday by passing a bill on the matter for first reading. The constitution amendment bill seeks to amend the 1999 Constitution by decentralising the Nigeria Police Force to accommodate state police. 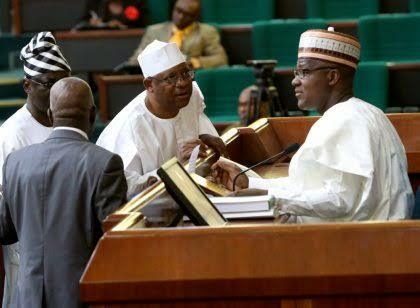 The bill is sponsored by the Leader of the House, Mr. Femi Gbajabiamila. Having passed first reading, the House, following established procedure, will set another date for the opening of debate on the general principles and second reading of the bill. The Punch reports that it passed the first reading at Tuesday’s session presided over by the Speaker, Mr. Yakubu Dogara. Section 21 reads, “(1) The National Assembly may make laws for the federation or any part thereof with respect to – a. Police Force and other government security services in respect of anything pertaining to internal security and the maintenance of law and order in Nigeria; b. Regulation of ownership and control of Federal Police and other government security services. “b. Regulation of ownership and control of State Police and other State Government security services. “The Principal Act is hereby amended by renumbering the existing sections 21 to 30 of part 2 of the second schedule of the constitution as numbers 22 to 31. Meanwhile, the Senate Committee on the Review of the 1999 Constitution met on Tuesday on the preparation of a bill to allow the creation of state and community police.